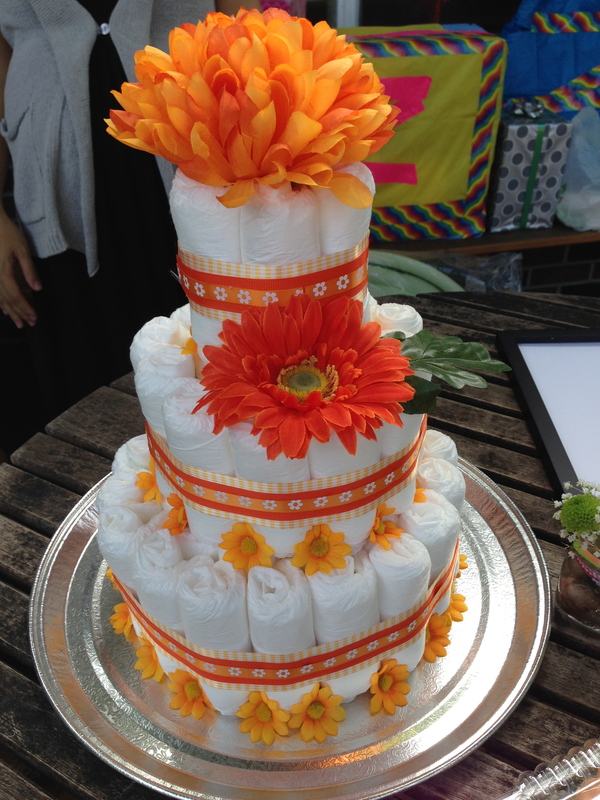 On what felt like the last beautiful weekend of the summer before the cool fall days of October starts, a close family friend (N) was having her baby shower. 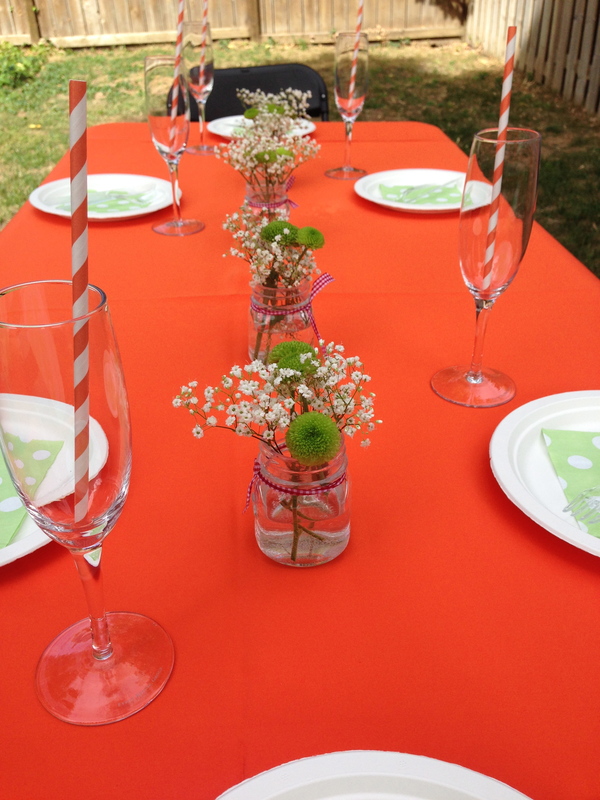 With an elegant backyard setting in an orange and green theme, the tables were decorated with simple centre pieces and champagne flutes. But the food was the talk of the shower well, with the exception of the mother-to-be of course. 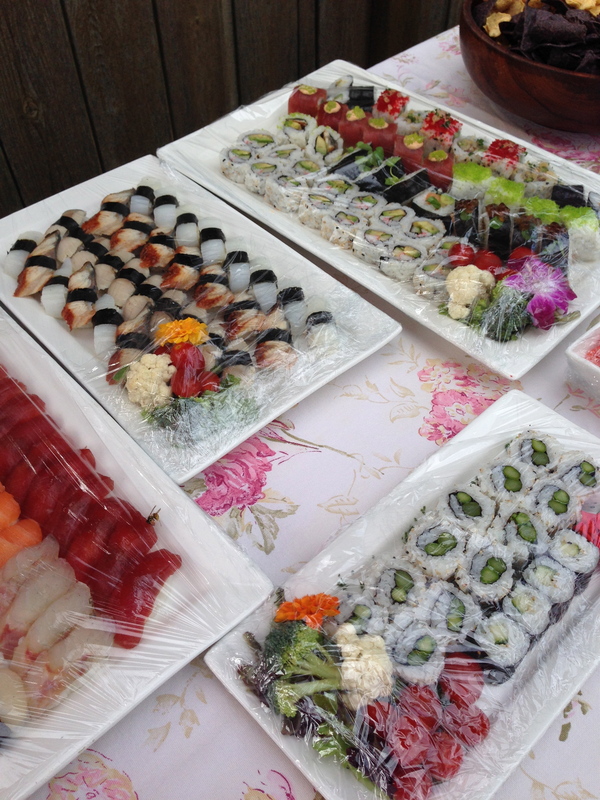 Coming from a family who owned and operated a Japanese sushi restaurant for years and now caters, it is no wonder everything looked and tasted delicious….and all homemade! The platter of tuna, salmon, squid and unagi nigiri sat beside rows of maki rolls – california, futomaki and various dragon rolls. The shower was capped off with some fantastic desserts. 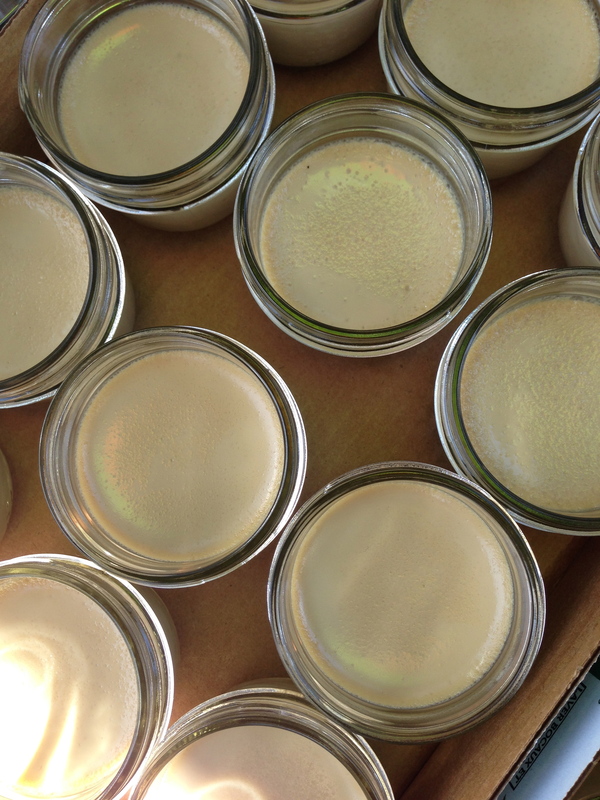 Small mason jars full of matcha green tea pot de creme, moist cupcakes from Make it Sweet Bake Shoppe, cups of fresh berries topped with fresh whip cream and traditional Japanese daifuku (made by my mom….yes that’s a shameless plug for my mom, lol). Check out my pics of the event! 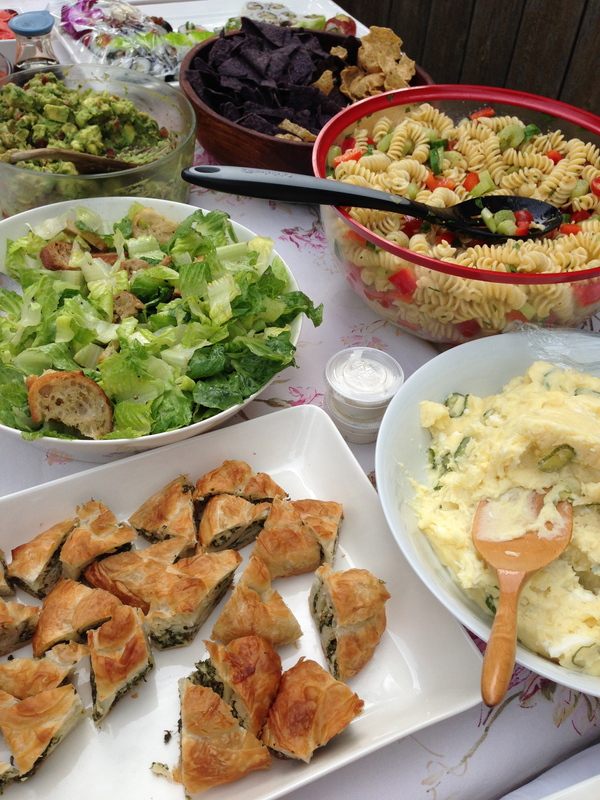 Various homemade salads including Japanese style potato salad. 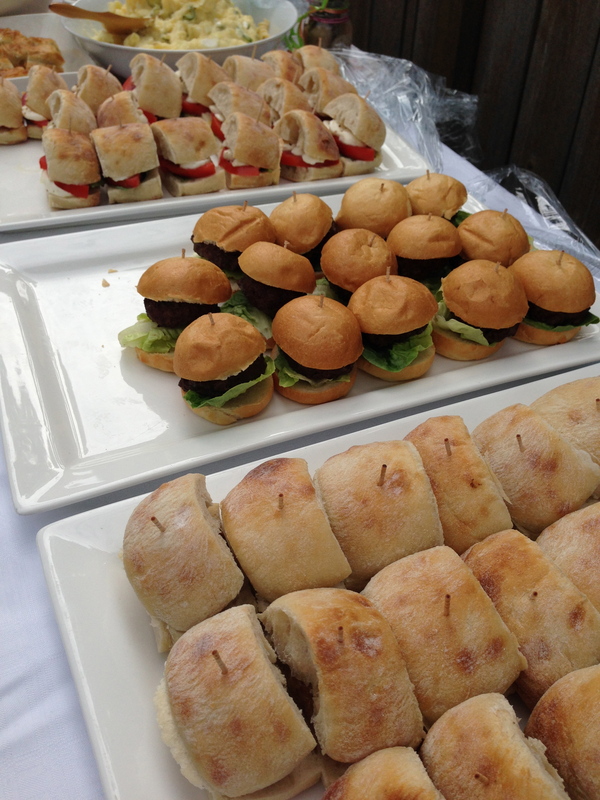 Vegetarian, burger and sausage sliders. 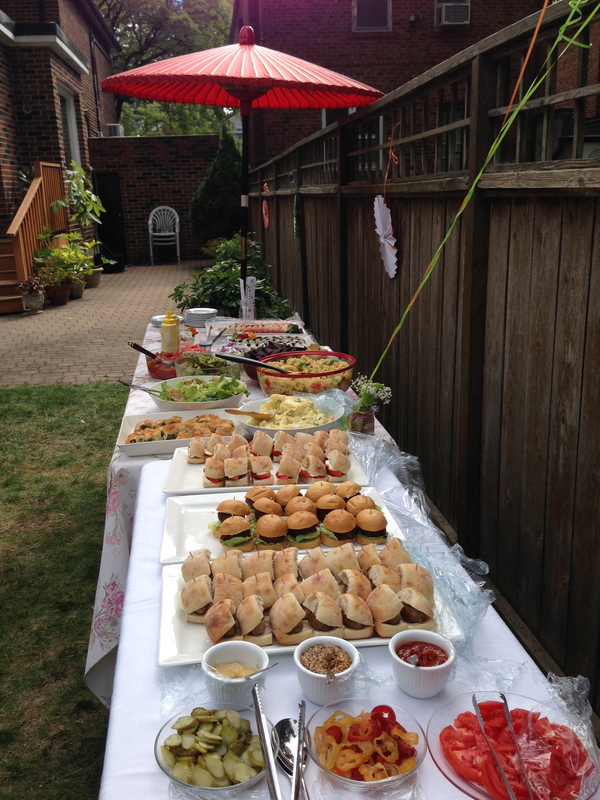 Just like the table setting, the beautiful buffet table. 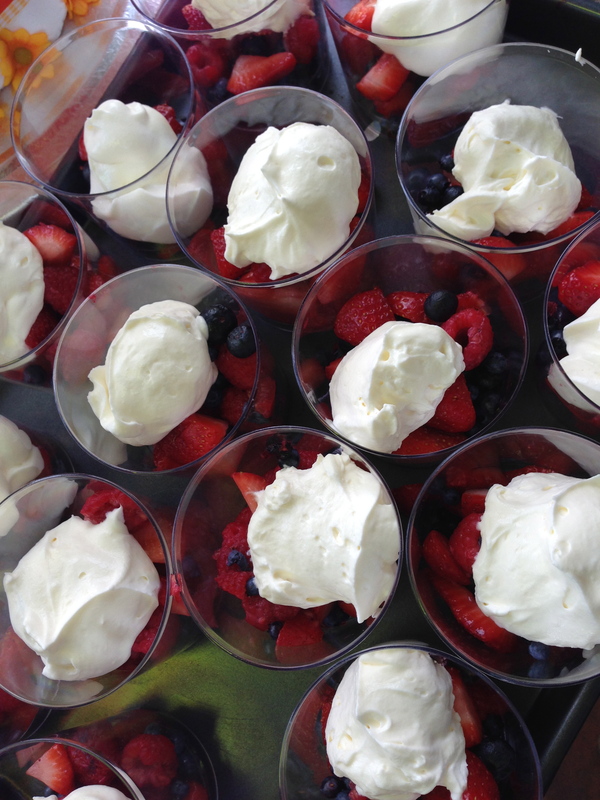 Dessert cups of fresh berries and fresh whip cream. Green tea pot de creme. 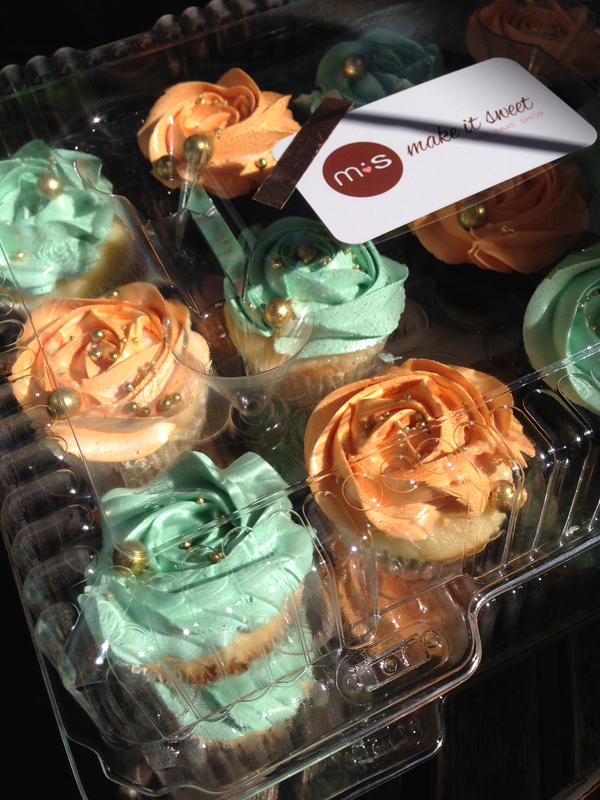 Tray full of cupcakes from Make it Sweet The Bake Shop.